The restaurants supply in Madrid is, like the city itself, huge, almost unmanageable, so if you want to visit the best Spanish restaurants in Madrid, just read on and enjoy our fine selection of establishments in Spain's capital. Madrid is the capital city of Spain and as such it is a city full of history and culture which more than makes up for its lack of beaches! Madrid is the place to go if you want to study Spanish art as it has some of the most prestigious art museums and art galleries not only in Spain but in the world. The Museo del Prado and the Museo Reina Sofía contain some of Spain's most famous works of art including many of the Black Paintings by Goya and 'Guernica' by Pablo Picasso. Madrid is also the city where you will find many great buildings such as the Palacio Real (Royal Palace). Whatever you're into, then you should definitely visit Madrid. The symbol of Madrid is a bear trying to eat from a strawberry tree which sets the tone for the love of good Spanish food in the city. Even though Madrid is no where near the coast, you can still find plenty of fish and seafood dishes on the menu at restaurants in the city. Typical dishes from Madrid tend to be hard to find and the best traditional dishes are nearly always found in the oldest restaurants. Traditional Spanish food as a whole is easier to come by and is easily accessible for any budget. We have tried to list only the best Spanish restaurants in Madrid, adding a brief description of what they offer, but if you're interested and want to know more, just click on the restaurant's name and read on its individual page. Cómo Me Lo Como is a great Spanish restaurant in Madrid which combines the art of food with the art in its interior design. The best part of this Spanish restaurant is the balance between quality and price as Cómo Me Lo Como serves great tasting dishes which resemble dishes you would find in fancier restaurants but at a reasonable price. The Jockey restaurant is an exclusive Spanish restaurant in Madrid which was designed to resemble an English gentlemen's club from the 1940s. The restaurant is very prestigious and as such is full of history and traditions including its own dress code and etiquette. La Biotika is one of the few Spanish vegetarian restaurants in Madrid and specialises in providing good quality food for a range of diets including vegan, macrobiotic and vegetarian food. They also have their own organic shop which sells healthy produce for these diets as well. Las Cuevas de Luis Candelas is a Spanish restaurant in Madrid just off the famous Plaza Mayor which is themed around the legendary Spanish highwayman, Luis Candelas. Legend tells that this bandit hid his loot in the caves which now house this restaurant. La Tasquita de Enfrente is a Spanish restaurant in Madrid which means a lot more to the owner than just a restaurant which serves good food in an intimate setting. The restaurant also symbolises an escape from the rat race and the corporate world for the owner who quit his job to follow his dream. Lhardy is a historic Spanish restaurant in Madrid which has been in the city for over a century, serving the best in both Spanish and Mediterranean cuisine to some of Spain's most powerful figures. Some people say that Spain would not be the same without this restaurant as so many political meetings and talks have gone on within its walls. Los Galayos is a Spanish restaurant that produces traditional Spanish food for hungry tourists. Its perfect location, just off the Plaza Mayor in the centre of the city, means it is perfect for a pit stop on a long day's sightseeing around the capital. 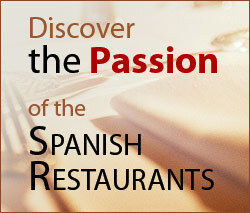 The Restaurante Zalacain is a Spanish restaurant which has helped shape the gastronomy in Madrid for many years. The restaurant became the first in the country to receive three Michelin stars, paving the way for other Spanish restaurants to follow. The Taberna La Bola, with its bright red exterior, is a traditional Spanish restaurant in Madrid which should not and can not be missed! Only a few streets from the Royal Palace, La Bola produces authentic, traditional cuisine based on Spanish recipes, and in particular from Madrid. Yerba Buena is a Spanish restaurant in Madrid which was established by the owners in order to provide a place for fine vegetarian dining and prove the stereotypes of this kind of cuisine to be wrong. Surrounded by the old buildings of Madrid, this fresh restaurant makes a welcome change.